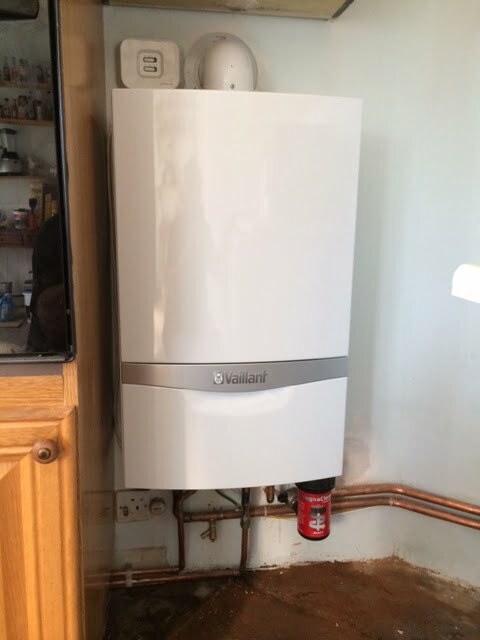 This week we have been busy converting a customers old oil fuelled inefficient boiler to a new A rated Vaillant gas fuelled boiler. This should result in the customer saving around 25-30% in fuel bills. The job was completed within two days. The customer also gained lots of new space in the house as the old cylinder and tanks were also removed. With a new wireless programmable thermostat added that can be controlled via a laptop or phone from anywhere with internet access. We also added a magna-clean to protect the new boiler from any contaminates within the central heating system.